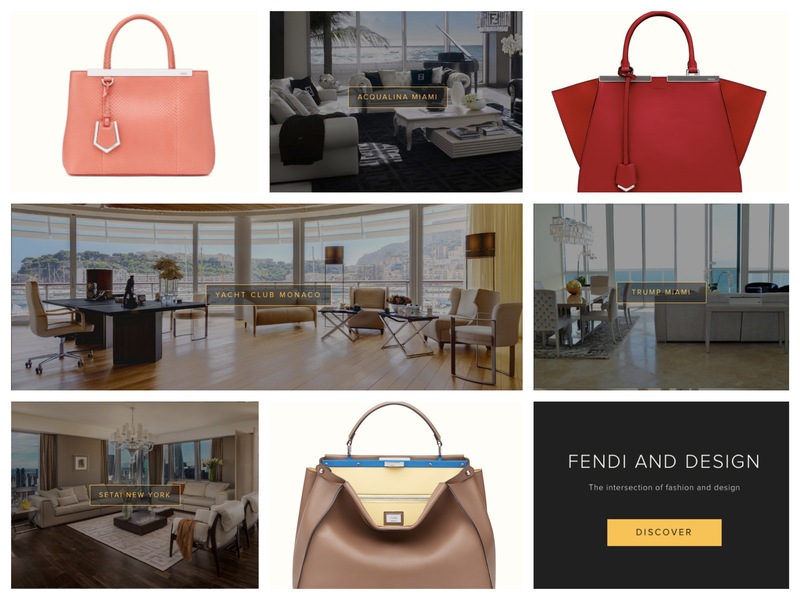 Fendi Handbags and Fendi Casa: Why Do New Yorkers, Arabs, Chinese, and Russians Buy Them? When people think of Fendi, they think of classic design lines with a modern and contemporary twist that defines the character of the brand and is representational of the image the wearer projects by carrying, wearing, or living in the luxury of Fendi. Over the past few years with the introduction of the Peekaboo Fendi handbag, 2Jours Fendi handbag, and now the 3Jours Fendi handbag, all these Fendi handbags exemplify top quality materials, not only from the leather chosen and construction of the handbag but to the hardware and design details used to finish the handbag – making Fendi a go-to handbag for those attracted to a timeless yet fashion forward design especially with the introduction of the 3Jours Fendi handbag. Our clients from New York, London, Dubai and Chinese buyers have particularly enjoyed the Fendi 3Jour handbag because it has a zipper and because it’s classically edgy. A mark of an excellent brand is when you see a combination of classic designs incorporating chic trends to appeal to a discerning clientele who value and recognize excellent craftsmanship and superior design – while integrating fashion into a handbag that is creatively functional for everyday. For the client who is more conservative in personal style, we would recommend either the Fendi Peekaboo handbag or the Fendi 2Jours handbag due to its more classic design lines. The Fendi 2Jours handbag provides you with a bit more flexibility in carrying the handbag while the Fendi Peekaboo handbag seems to only be a hand-held handbag. For the client who has a combination of personal style that airs to the side of classically dramatic, we would recommend the Fendi 3Jours handbag in bold colors, which has been a hit with our Dubai clientele and New Yorkers. Clients have really loved the leather of all three of these bags as they do not easily scratch and they present an image of prominence and prestige. If you are a lover of Fendi from their handbags, shoes, and clothing, you may also like Fendi Casa. Fendi Casa is widely coveted by our Russian, Arab and Chinese clientele for it’s clean design details and exclusive style – combining the highest caliber of materials with excellent craftsmanship. We have enjoyed either incorporating Fendi Casa accessories into our client’s homes or implementing the Fendi Casa dining room and / or living room collections into their homes – which automatically creates an air of elegance and prestige within the home. We have even suggested to our clients who love the brand to invest in Miami Beach real estate at Fendi Chateau Residences. As the very first residential collaboration between luxury house Fendi and prestigious developer Château Group, the innovative flow through architecture of this beachfront residence combined with its coveted Miami Beach location, premier amenities, and ultra stylish interior décor provide citizens of the world with a year-around tropical vacation abode, redefining the meaning of living a chic, luxury French Riviera lifestyle. At Sterling Luxury Group, we believe your lifestyle is a reflection of your image. When you select a luxury brand such as Fendi from your wardrobe to your interior décor and as your home, it represents who you are and the image you’d like to project in all avenues of your life. Sterling Luxury Group redefines the meaning of living a luxury lifestyle. From helping you select the perfect home through Sterling Luxury Homes, to refining the finishing touches of your interior décor through Sterling Home Styling, to styling you from head to toe through Sterling Personal Styling, let us redesign and restyle your life. We are Global Image Group‘s luxury lifestyle makeover image stylists in real estate, interior decor, and personal styling in Miami, New York, L.A. and Dubai.